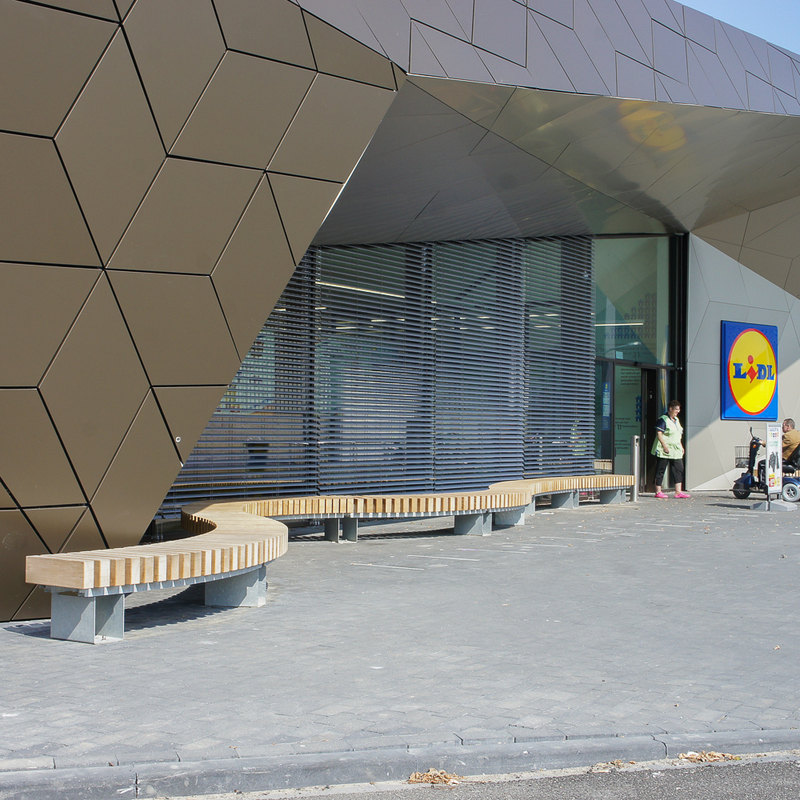 The Rough&Ready Curve Benches casually meander in front of the sleek, geometric façade of the Lidl supermarket in Dongen, a village in the southern Netherlands. The flowing, curved lines of the linked benches create an inviting path to the entrance of the store. This is grocery shopping in an exceptional setting. The distinct supermarket building located between the monumental windmill and the historic ribbon development was designed by architectural firm Paul van den Heuvel. The faceted wall cladding allows the sculptural building to respectfully blend with its surroundings. With their diamond-shaped pattern, the sloping exterior walls reflect the sunlight, affording the monolithic building a dynamic character. 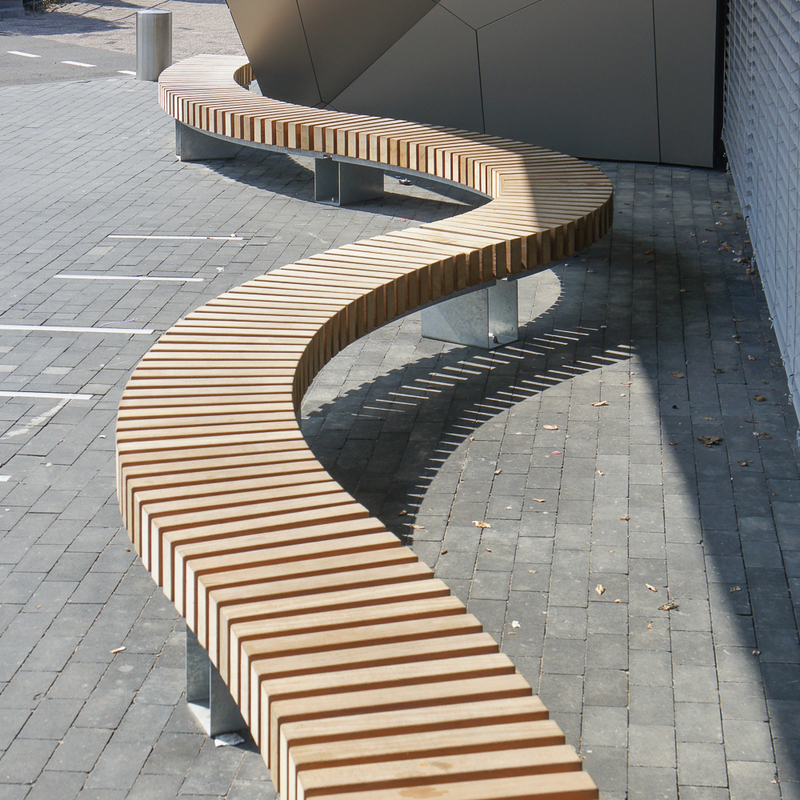 Rough&Ready (R&R) Curve Benches are characterised by a curved shape and a strong design profile. 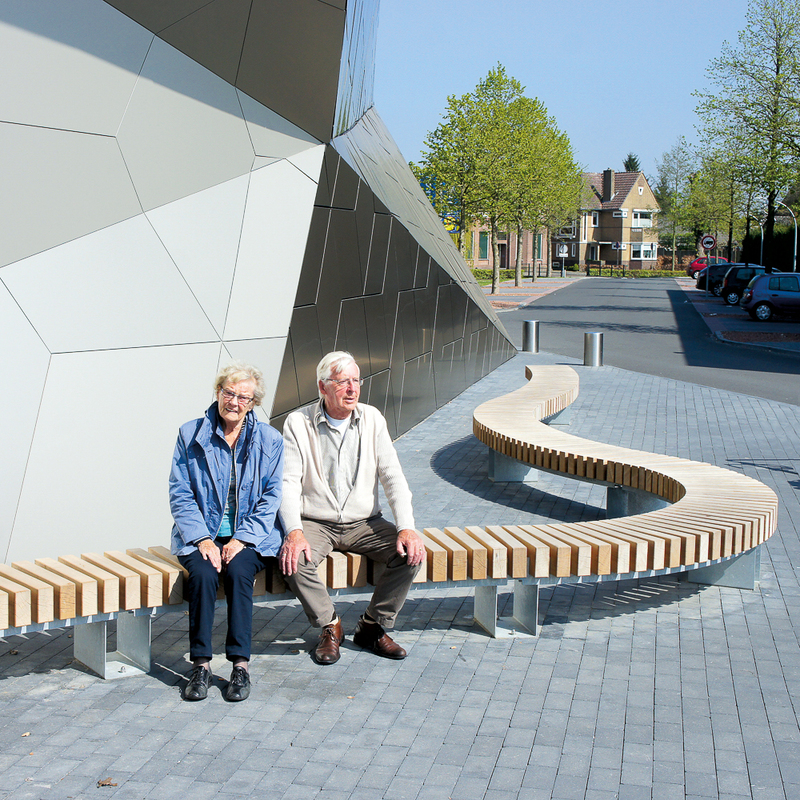 The benches possess a bold identity and certainly do not look out of place in front of such an impressive building. If anything, they enhance its visual appearance. 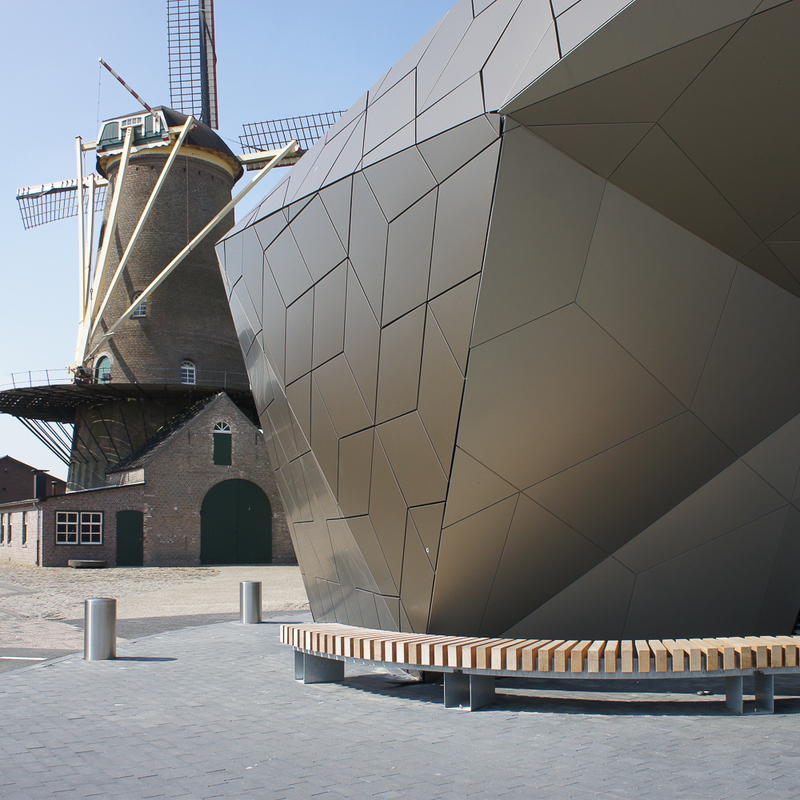 The careful positioning of the R&R Curve Benches creates a flowing route that guides shoppers to the entrance. 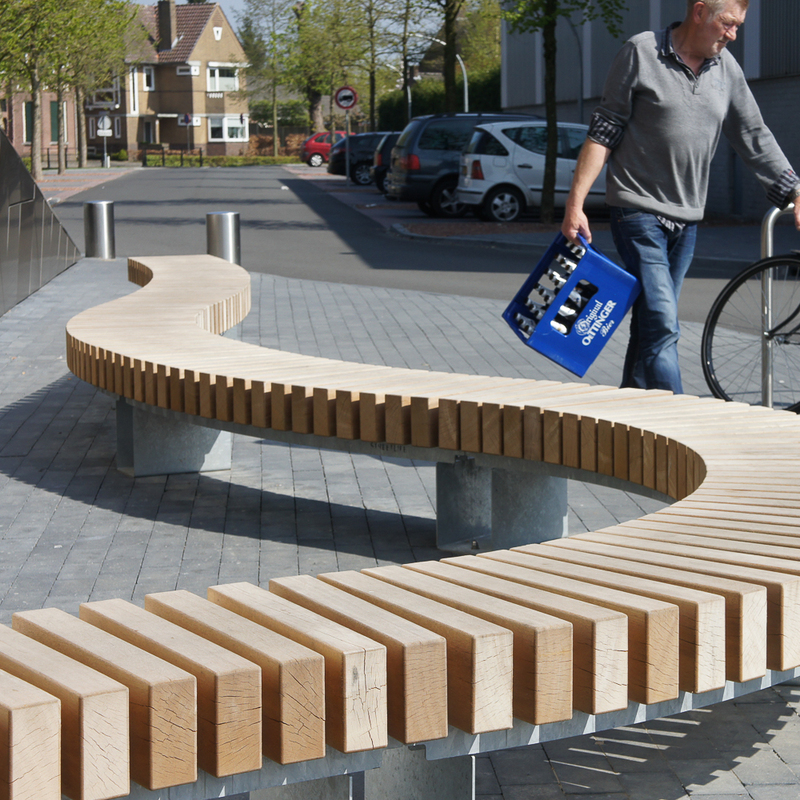 The benches also mark the building as a meeting point and discourage the placing of bicycles against the façade. For this project, Streetlife was approached by the architect, whose clear vision laid the foundation for a successful and pleasant collaboration. The design sketches were easily translated into production drawings by the Streetlife R&D department. It resulted in a smooth process in which the elaboration remained very close to the original vision.